Jake asks the brothers the age old question…is freestyle a sport or an art? Jens shares his thoughts about the difficulties of judging routines when they are so incredibly different. Erwin talks about whether he thinks they were judged unfairly at times because people may not have seen them as technical players. Although it could be tough at times and they didn’t always like the results, they always felt good about remaining true to themselves and doing the routine they set out to do. Find out if there was any behind the scenes brother rivalry and when and why they stopped playing. Hear about the strange and mysterious rubber-band routine that Erwin Velasquez, Ted Oberhaus, and Randy put together. 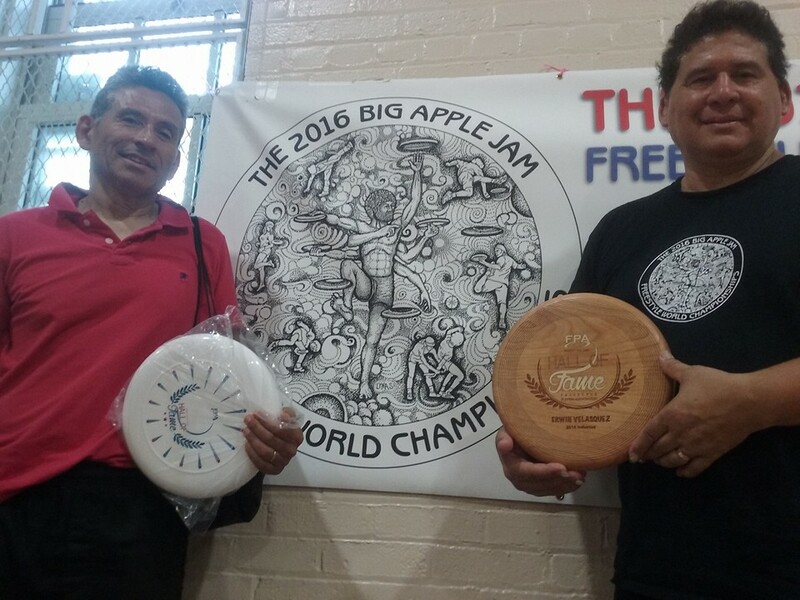 Read the tournament results and see some great photos on http://freestyle-frisbee.com. « Poll: Which of Your Throws Has the Most Counter Clockwise Spin? Thanks you guys for such a great interview by two of the icons of freestyle! The brotherly connection is apparent in what Jens and Erwin share.